Do you have problems with your knees? If you are in need of orthopedic knee support or an orthopedic knee brace, Allegro Medical has plenty of products for you. 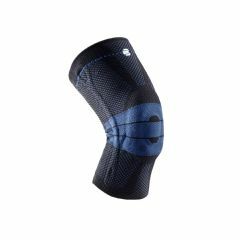 Some of the options you will be able to find include the Bell-Horn knee sleeve, Kneed-It knee pain relief band, calf sleeves, knee compression with open patella, knee stabilizers, and more. When you choose AllegroMedical.com, you will find that we have a wide range of products in this category, and we offer great prices. In fact, we have a Best Price Guarantee.